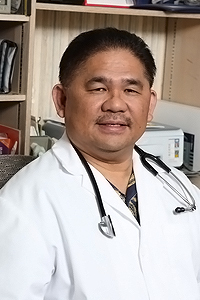 Dr. Charlie Sonido MD, Inc. primarily treats adult medical patients. It is equipped to deal with whatever medical problem the patient has, no matter how common or rare. Knowledge is continually updated in many areas, including the following diseases and disorders. These conditions are treated from the clinic to the intensive care unit of the nearby hospital. Disease prevention and promotion of health care are also emphasized.